MBNA, when they were owned by Bank of America, were one of the largest credit card issuing companies in the UK. They issued a wide range of 0% credit cards using their own name, but they also issued many credit cards for other organisations including football clubs and travel companies. MBNA are now part of Lloyds Banking Group and no longer offer credit cards to new customers using other organisations names. For these customers with an airline or football credit card for example, they can still use their existing MBNA issued cards. Most credit card customers searching online for a list of all MBNA credit cards do so for two main reasons. 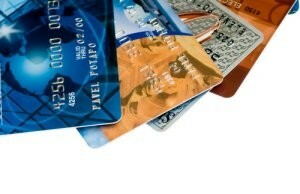 They are unsure if their existing credit card, such as the M&S credit card for example, is issued by MBNA. They want to know if the new credit card they are looking to make a balance transfer to is issued by MBNA. MBNA like many other UK credit card companies do not allow a customer to make a balance transfer from one card issued by them to another credit card also issued by them. Here at 0% Credit Card Expert we have used our extensive knowledge of the UK credit card market to compile the following MBNA credit cards list. This MBNA credit cards list was last updated in June 2018.